By Kevin P. O’Connor Herald News Staff Reporter By Staff Reporter Posted Jan 1, 2018 at 4:24 PMUpdated Jan 2, 2018 at 2:03 PM FALL RIVER – One hose sputtered to a stop. Then the second of three. Flames began to immediately build from the north side of 1545 Rodman St.
By Marc Munroe Dion Herald News Staff Reporter Posted Jan 2, 2018 at 4:10 PMUpdated Jan 2, 2018 at 4:57 PM FALL RIVER — The Samuel Watson School on Eastern Avenue is an old school, and some of its students have problems that are even older, problems people have had for millions of years. Food. Jo C. Goode Herald News Staff Reporter Follow @@jgoodeHN Posted Jul. 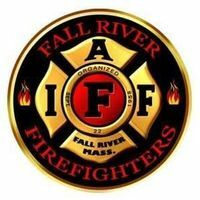 28, 2015 at 5:49 PM FALL RIVER — Saying he was "extremely happy about the development," Mayor Sam Sutter announced Tuesday afternoon that Fall River has been awarded a $2.06 million SAFER grant that will add 10 firefighters to the Fall River Fire Department. 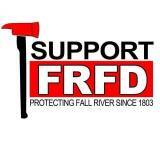 http://www.supportfrfd.com/ Mayor Flanagan will go forward with the layoffs of 60 firefighters this summer, reducing the Fall River Fire Department from a complement of 213 to 153. “We are going to see a more nimble fire department on July 1,” Flanagan said.